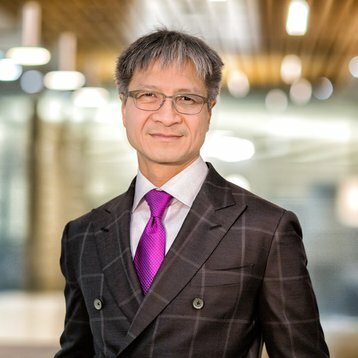 In January, Victor Peng was appointed the CEO of Xilinx, the US company best known for creating field-programmable gate arrays (FPGAs) - integrated circuits that can be reconfigured using software. Now, he’s ready to talk about his plans for the decades-old semiconductor firm. “This is my first press event,” Peng told DCD as he laid out the company’s new strategy: Data Center First. The company’s push into the data center comes on three fronts - compute acceleration, storage, and networking. “We can play in all three,” Peng said. “One of the challenges is that we’re still primarily known as the FPGA company, and it’s the classic issue of ‘what got you here won’t necessarily get you where you want to go.’ The fact that we invented the FPGA and lead in this field is a good thing, but then there are some very outdated views on what an FPGA can do. The other challenge is developer support, the lack of which can kill a product: “We need to make it significantly easier to develop for. We need to build out the ecosystem, libraries and tools and more applications. But that’s exactly what we are doing. Peng claims FPGAs are ideal for the growing number of machine learning workloads (inference, but not training), as well as video transcoding. 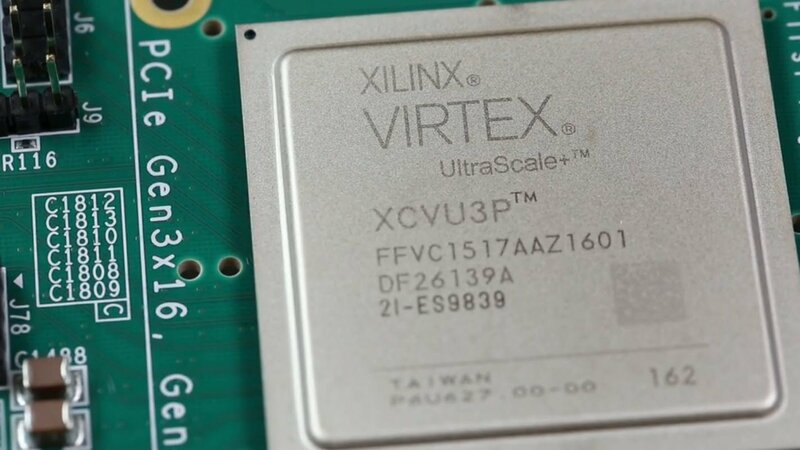 He points towards Xilinx’s deal with AWS to provide the cloud company with UltraScale Plus FPGAs for EC2 F1 instances. According to AWS, these instances can accelerate applications up to 30x when compared to servers that use CPUs alone. Today, according to Peng, there are around 20 applications using FPGAs in production for cloud customers, and more than 50 app developing companies that are targeting this field. AWS is also expanding the availability of the instances, while Alibaba, Huawei, Baidu and Tencent all plan to launch their own Xilinx FPGA-based services. Another example of a successful, large-scale FPGA deployment that Peng likes to reference is that of Microsoft’s Project Catapult - where the software giant inserted FPGAs into servers to create an ‘acceleration fabric’ throughout the data center. Used for Microsoft Azure, Bing and AI services, this set-up helps speed up processing and networking speeds, and is now a standard component of the company’s cloud infrastructure. 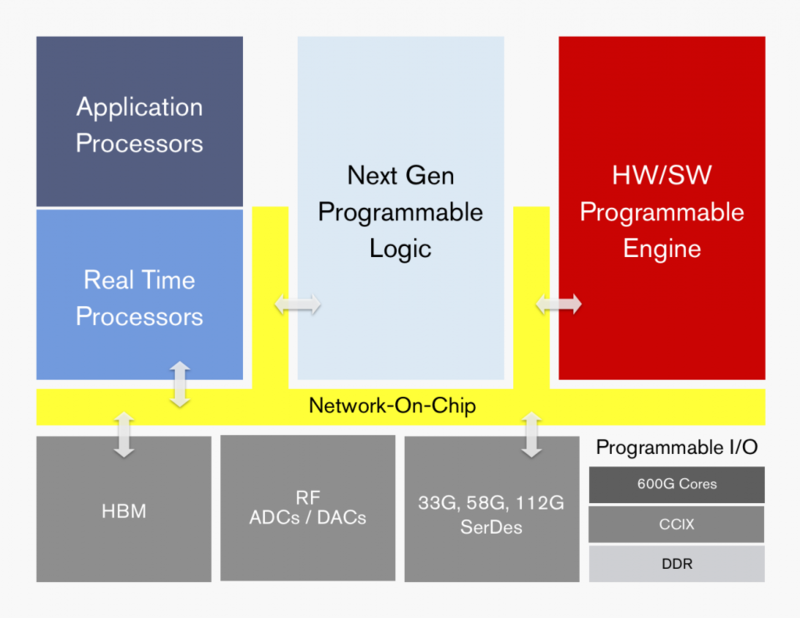 While Peng expects Xilinx to continue offering classic FPGAs “for decades,” the other announcement the new CEO was ready to share was the development of a brand new product called ACAP. The ‘Adaptive Compute Acceleration Platform’ is made up of a new generation of FPGA fabric with distributed memory and hardware-programmable DSP blocks, a multi-core SoC, and one or more software-programmable and hardware-adaptable compute engines, connected through a network on a chip. The first ACAP product family, codenamed Everest, will be developed with TSMC 7nm process technology and will tape out later this year, actually shipping to customers next year. Creating Everest took $1bn, 1,500 engineers and four years of research, and the company expects it to achieve a 20x performance improvement on deep neural networks compared to the 16nm Virtex VU9P FPGA. Peng was coy on specifics, but confirmed that Xilinx is in advanced talks with cloud companies about ACAP.